When judges are considering whether children can be returned to failing parents, they set the bar at a fairly low standard: ‘good enough parenting’ is sufficient. This approach does not involve them in social engineering; it recognises that children do not belong to the state, and it implicitly accepts that in a free society some children will enjoy better life chances than others. It is a pragmatic but also humane approach. Parenting skills amongst the general population vary and no doubt ebb and flow with the vicissitudes of life, but ‘good enough’ is good enough for children, even for those who have been found to have suffered or be likely to suffer significant harm. My mind went to this as I read of the exchange of letters between Gilo and the Archbishop of Canterbury over the question of whether or not the Church of England should adopt a policy of ‘mandatory reporting’ in cases of child abuse. The debate comes at a time when campaigners are pressing the House of Bishops to ensure that Safeguarding features prominently on the General Synod’s agenda in February. Many of the church’s victims are fully behind Gilo’s call, for they have suffered unquestionably egregious neglect by the institution, as bishops and even archbishops have not ‘seen’ that which was plain. Peter Ball and others ‘hid in plain sight’, in the same way that Jimmy Savile did at the BBC, and they both got away with it for too long, and for similar reasons. I do not flatter myself that anybody remembers my maiden speech at General Synod; it was an unscripted intervention on a safeguarding debate which I do not recall myself, but I do know that I reminded Synod that in the secular world, just about every profession – including police, social workers, lawyers – have made the same mistakes over and over again. There have been over 30 reports into the deaths of children since the tragic case of Maria Colwell in Brighton in 1973. It is not new lessons we need, but the application of simple and known principles which are readily available. All of the reports say the same thing: that everybody knew a little, but nobody joined up the dots. Those trying to make sense of an incomplete picture were insufficiently forensically trained to properly manage the risks. The greatest failure, the Colwell Inquiry’s report into Maria Colwell’s death stated, was the lack – or ineffectiveness – of communication and liaison between the agencies involved: information was not being passed on and there was no proper co-ordination. Something similar might be said about any number of cases which our victims have brought to us over the years. A first complication is frequently that victims of the church face an additional problem: they are reporting to people who also have in mind the potential damage of the allegation to the institutional Church. We lawyers have a term for this: it is called a conflict of interest. The second complication is our insistence on handling this at a diocesan level: 42 dioceses of varying size are advised by a mixture of Diocesan Safeguarding Advisers (DSAs) of varying disciplines. Some see relatively few cases, others are too busy. I have yet to learn of a single Child Protection specialist lawyer among the 30+ Diocesan Registrars who offer generalist advice in a specialist area. The church’s workforce regularly move between dioceses, and every move represents a new weak point of potential communication breakdown. What could possibly go wrong? All this needs review, but Gilo offers us a simple injection of common sense. It is founded on the principle of communication and liaison. It draws others with expertise into the discussion. It fundamentally changes the game, placing the risk of failure on the person who makes a decision not to report an alleged abuser. The consequences of that risk will not be imposed on the future victim if that decision is called wrongly, as at present. As Dr Johnson said, “When a man is to be hanged in the morning it concentrates the mind wonderfully.” I want our priests, bishops and archbishops to think every time they hear of one of these allegations, ‘I’m in trouble if I get this wrong’. They need to have serious ‘skin in the game’, as victims do. We have recently passed provision for Risk Assessments, and already the solution is looking clunky. The present interpretation is that these must follow upon any Clergy Discipline Measure, which will take months rather than weeks. This is a serious weakness: while our cumbersome procedures lumber on, a parallel assessment by outside agencies would deliver a swifter protection. As Archbishop Justin has repeatedly emphasised, it is the victim’s interests which must come first. He is right, however, to point out that the mandatory reporting of allegations can be complicated, but the precise level of complication depends upon the context in which one is proposing the mandatory reporting. One can do this within criminal law, as the victims and I would prefer. Our insurers could make it a contractual requirement of insurance cover within the civil law. Yet surely the simplest entry point for mandatory reporting is within our own disciplinary code. Setting the bar at a relatively low level, certainly short of perfection, might yet yield disproportionately successful outcomes. To do this I would encourage progress on an incremental basis: the best can sometimes be the enemy of the good. A huge improvement can be undertaken on the basis of what we are able to quickly agree upon. To this end, I would commend the regime to which I was subject as a practising lawyer. If I suspected money laundering, I had a duty to not only report it, but I was forbidden to notify my client that I had done so or that an inquiry of any kind was underway. As a member of the then Children’s Panel of the Law Society, I was required to notify the authorities. My ‘client care letter’ made this clear. If I was told of, learned of, or suspected child abuse, I was obliged to notify: victim care and professional integrity went hand-in-hand. I have acted within the provisions of that code, reporting a concern. It didn’t hurt; I sleep easy in my bed knowing that no child suffered as a result of my inactivity. If these are the standards required of those who are trained, experienced, and have expertise in the field of victim protection – and, moreover, of those normally having a duty of confidentiality towards their clients – what possible grounds can there be for offering greater latitude and discretion to the House of Bishops and their supporting cast, given the litany of failure we have in this area, every bit as depressing as the 30+ inquiry reports to which I referred above? I doubt the lawyers are the only ones with a readily available blueprint for how these matters may be effectively managed. With a combination of determination and creative plagiarism, somebody who knew what they were doing could surely come up with a working draft scheme within a week. I suspect that what the Archbishop refers to as ‘complicated’ might usefully be separated out. Some of this complexity is seriously theological, concerning the inviolability of the confessional, which many Anglicans take seriously, especially a significant portion of conscientious Anglo-Catholics. Another part of that complexity might touch upon what constitutes ‘knowing’: if a priest or bishop is told in passing that a person suffered abuse, is (s)he entitled to give that person time to disclose or not? Or should direct questioning ensue in case the abuser is one under ecclesiastical authority? It is a proper question, though probably not overly complicated. Under the rules for questioning even child victims, interviewers are reminded that a child has the right not to speak and should not be pressurised on an issue. The simple question anyone hearing such matters should consider is straightforward: does this person have an expectation that I can and should do something with this? Insofar as the confessional is problematic, my answer is not to go there for now: the vast majority of our problems lie elsewhere. Most abusers are not going to rush there for sanctuary, so let that be the last thing we tackle. Neither must we think that ‘until everything is agreed, nothing is agreed’. That would be a recipe for delay – a manifest injustice which many victims have already suffered. 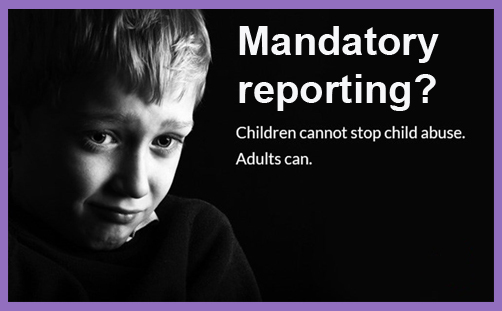 Mandatory reporting may yet be imposed upon us by law, following recommendations of the Independent Inquiry into Child Sexual Abuse. If it comes, a minority of priests may face a real and serious dilemma. This is not, of course, unprecedented: Church history is strewn with the heads and ashes of martyrs to conscience. We are not there yet, however, and the more we do in advance to put our house in order, the better our prospects will be of being persuasive – if or when the question arises. Archbishop Justin writes to Gilo that “It is now the case that bishops and other clergy holding office in the Church of England are expected to report a Safeguarding issue or disclosure, and are liable to disciplinary proceedings they fail to do so.” The internal cultural pressure to comply with this can be ratcheted up to ensure that all allegations of potential criminality are considered externally by the statutory agencies. Any allegation coming to the attention of a bishop or dean should be required to be recorded promptly and clearly by him or her, and if a decision is made not to share the allegation with the statutory agencies, the reason for not so doing should be recorded in writing with the Diocesan Safeguarding Officer, and cogent reasons given. The Gibb report identifies that Bishops cannot afford to have unclear recollection. The requirement of a clear audit trail would bring greater clarity for everyone. Furthermore we should be clear that suspension of a lax bishop or dean should be the norm – however embarrassing it may be. By embracing higher standards for themselves, leadership will be shown and the direction of travel clearly signalled. If the Church of England’s critics have achieved nothing else, they have put these issues onto the agenda and created the intellectual climate in which the House of Bishops may expect widespread support from the other Houses of Synod if they dare to be bold. The ball is firmly in their court. Dear Bishops, please don’t drop it. A school for Muslim girls that forbids them the use of toilet paper ‘for cultural reasons’?